Greetings everyone.This is me and my English-speaking Schnauzer Brandenburg. My cancer experience began sixteen years ago following a rapid rise in my PSA from three to sixteen within a six-month period. I had no symptoms and felt very well. Although my GP assured me that I need not worry about or hurry into further tests, alarm bells began to ring. My wife and I combed the libraries trying to learn something beyond the scarce facts available at that time. We began hearing stories from along the grapevine of friends, acquaintances, work-mates and their friends. My surgery had been booked; the urologist was very positive in a “she’ll be right mate” manner. However I had arranged for another specialist’s opinion. That opinion was the same. Then as providence would have it I read the local newspaper, which I hardly ever did. A small item appeared about a young recently graduated medico who had previously been the leading naturopath with Blackmores. He was to give a public talk about stress. My ‘inner guide’ told me to make contact, and the next day Stephen provided me with a ‘break-through’ consultation. Stephen is now Professor Myers, Director of the Natural and Complimentary Medicine Research Unit at Southern Cross University. Things happened very quickly from that point. Both Stephen and Dr Joachim Fluhrer provided a long consultation at their Manly clinic. They arranged for me to have a PET scan at a private facility; I didn’t have to wait six months, which was commonly the case. After a long day of tests I felt my luck had turned until I read the scan report on the train back to Newcastle. The report revealed that my prostate cancer had advanced beyond stage B envisaged by the urologist. Dr Fluhrer suggested I might try a nutritional approach. The urologist was about to ‘glove up’ with four days before surgery. I’d had a second urologist’s opinion. 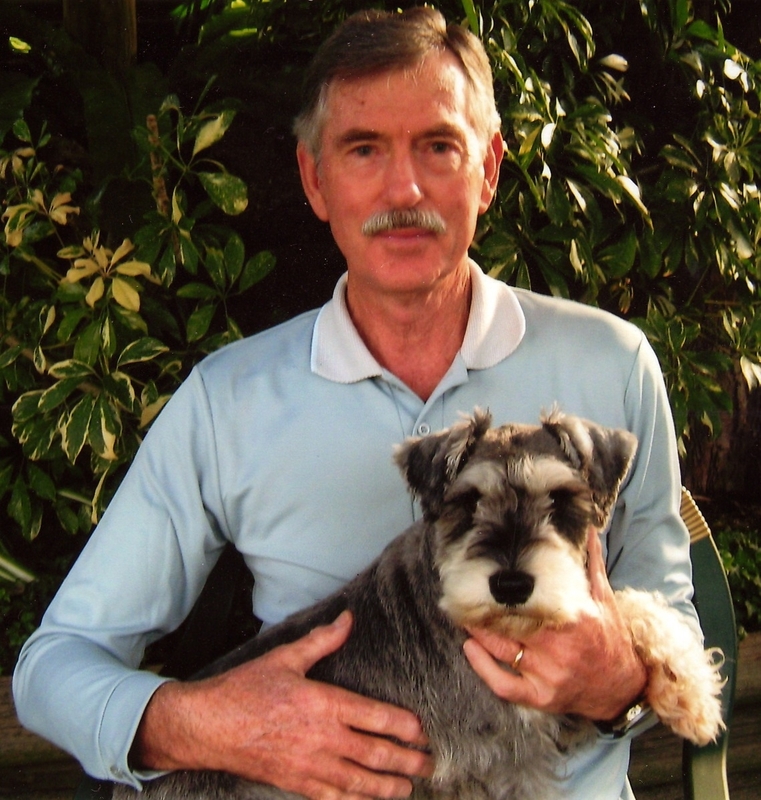 I’d been back to my GP whose father had lived into his nineties – with prostate cancer. I had a mate with a PSA of 36 who didn’t have cancer. With only days to go, my GP had arranged for me to see a radiation oncologist. More information seemed to be leading to more confusion. I forced the issue somewhat by slotting myself in finally to see the surgeon late on Friday afternoon before Monday’s scheduled operation. I had a key question to ask: ”What if the operation is not entirely successful, and micro-metastasis occurs?” The surgeon replied by nonchalantly telling me that “some radiotherapy would attend to that.” Other questions followed, and the conversation soured; the surgery was cancelled. Strangely, I felt a huge sense of relief. I chose a ‘curative’ course of radiation and immediately commenced lifestyle and nutritional changes along the lines outlined by my friend Neville Jensen. My wife and I chose this course of action with full knowledge of the adverse side-effects. I am one of the fortunate people who enjoy total and sustained family support. My wife and I attended various meditation and relaxation classes and we’ve gone as organic and vegetarian as possible. We take a variety of supplements. I’ve spent a lot of time reading some philosophy and psychology in order to understand the psycho-neuro-immunological basis to well-being. I’ve met many very nice people and made a whole new batch of friends as a result of the approach I chose for my cancer experience, and joining the Hunter Valley Branch of CISS. These people are well-informed and inspirational, particularly the very amiable David Kirkness – our founding ‘guru’ and mentor. Recently our group has reached into the world of the Cancer Council NSW. That organisation has provided guest speakers, and we have provided them, at least to some extent, with insights into our domain of complementary/alternative approaches in dealing with cancer. We now have ‘our’ people on their Broadmeadow staff and working as volunteer advocates. Currently HVCISS and Central Coast CISS jointly run programs covering psychological and nutritional approaches to cancer recovery and well-being. From these programs we have welcomed new and valued members. It is most gratifying to see that an increasing number of people are recognising and embracing holistic approaches within treatment regimes. One of our most successful events each year is ‘Soup Night’. Members prepare healthy offerings and we sit in a circle to sip, chat and exchange recipes. One soup that most find difficult to swallow is the Thai Miracle Soup (Tom Yum Gung) featured in an earlier edition of the CISS Newsletter New Beginnings and recently on the Rick Stein in Asia TV series. I’ve been eating a concoction comprising tomato, tomato paste, ginger, turmeric, chilli and garlic just about every day for lunch for a dozen years or so. I try to purchase fresh organic produce whenever possible. My breath smells awful, but my PSA has remained around 2. Our recipes are available to anyone game to try them, and may good fortune come your way. Keep Smiling – and Woof. PS. I shall add lemongrass and parsley to my tomato and herb creation some time soon.